Phosphatase treatment of the 5' ends of the restriction-cut vector removes the phosphates that are needed for the vector to religate to itself. 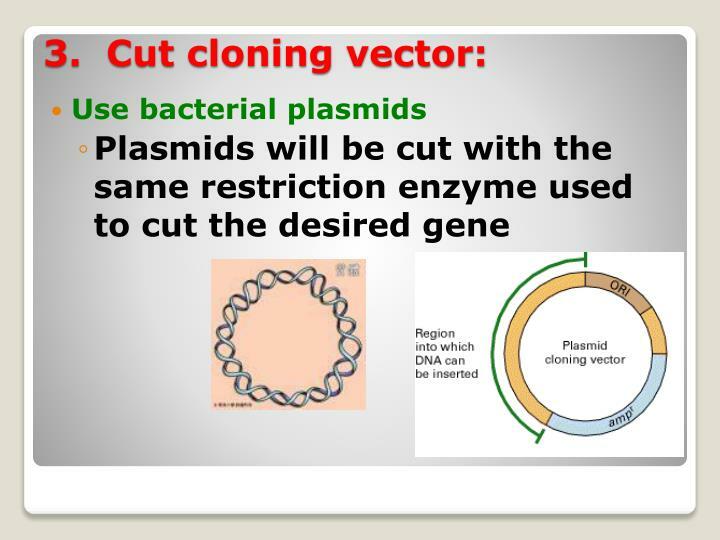 Therefore, removing the phosphates prevents self-ligation, which promotes recombination with inserts and gives little background of noninserted plasmids in the transformation. It is not recommended to remove this step in the subcloning.... I have a vector (2.8kb) and insert with size (1.4kb),both cut with EcoRI and HindIII. Digestion works well and I gel elute the vector and insert.I use fermentas T4 ligase and i have tried out all possible molar ratios and temperature 16C,4-10C, RT .Vector concentration i always use 50-100ng/ul. A PCR amplified linear vector can be cut and ligated using the Pyrite reaction. pLacZi was amplified with primers MF143 and MF144 and put in the Pyrite reaction with HindIII-HF, restoring the HindIII site in pLacZi. 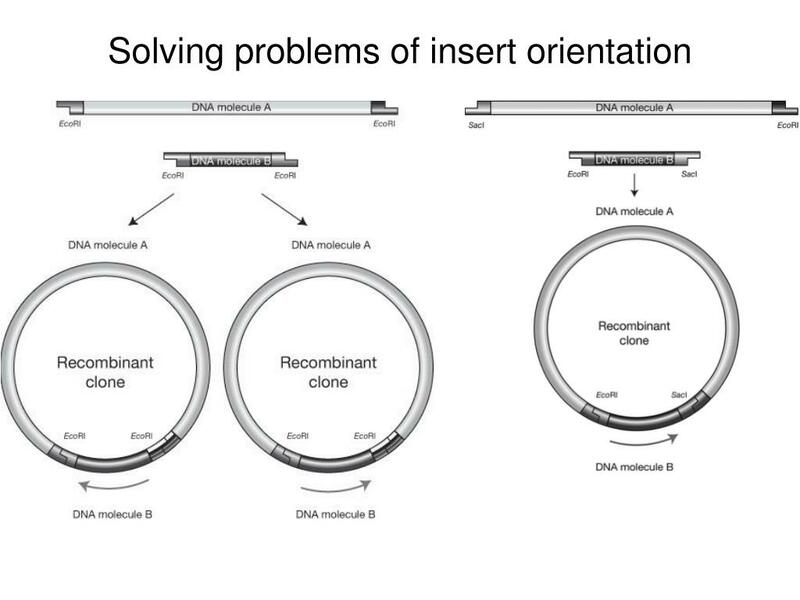 MF41 and MF126 are PCR primers used to test successful cloning. Three of the eight colonies tested were positive and marked by white stars. DpnI is indeed blunt-end cutter but it is 4 bp cutter that will theoretically cut every DNA after 256 bp! Thus, a 4733 bp plasmid pEGFP-N1digested with DpnI will give 23 fragments making it impossible to proceed with cloning. Figure 1. Blunt-end cloning using dephosporylated vector. (A) In this example, the vector is linearized by EcoRV to produce blunt ends. The insert was derived from 2 hybridized DNA oligonucleotides with optional bases to reproduce the EcoRV on one end, shown in orange. 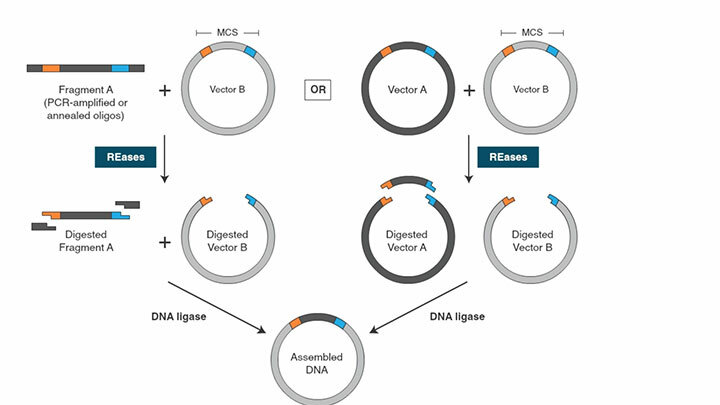 Hi, I want to cut my plasmid at attR1and attR2 site with a restriction enzyme to remove the sequence of interest and then want to re/ligate the vector backbone, so which ligase enzyme could use.